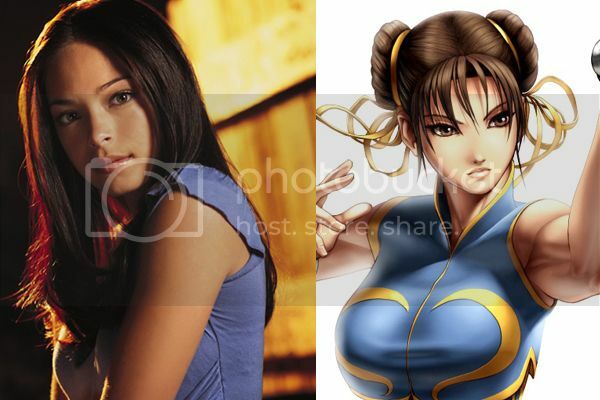 Hyde Park Entertainment is currently cooking a new Street Fighter Movie titled Street Fighter: The Legend of Chun-li. Obviously the movie will center around one of the game's most popular character: Chun-li, the strongest woman in the world. From her early years in China up to the time she became an Interpol agent. The production had already picked the actress that will play our chinese heroine. She is none other than Smallville star, Kristin Kreuk. If you will ask me, I think Kristin Kreuk may pull the character out. Her mother is a chinese that is why she has those asian features plus she can really act. Now, we will just wait if she is good on those fighting scenes and see if she deserve the title Chun-li got.